A sure fire laugh getter! An assistant from the audience is called upon to help you. 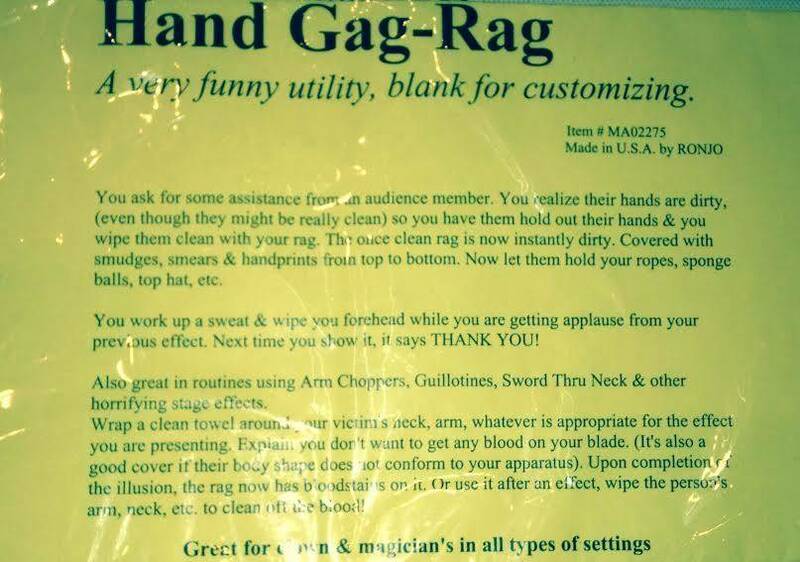 Before they touch your props, they are asked to wipe their hands on a rag that you give to them. It is casually shown to be clean on both sides. 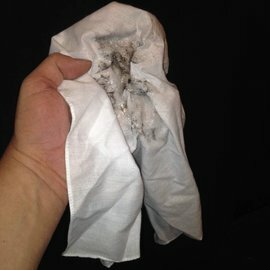 After the assistant wipes their hands the napkin is covered with smudges, smears and hand prints! This is guaranteed to get you a big laugh. You work up a sweat and wipe your forheadwhile ou are getting applause from your previpuseffect. Next time you showit, it says THANK YOU! Also great for Arm Choppers, Guillotines, Sword Thru Neck andother similar effects. Wrap the clean towell around them and explain that you don't want to get any blood on the blade. (Also good foe coverf if their body shape does not fill all the space in your apparatus.) Next time you show the rag, it is covered in blood stains. Make-up and Stage Blood not supplied. 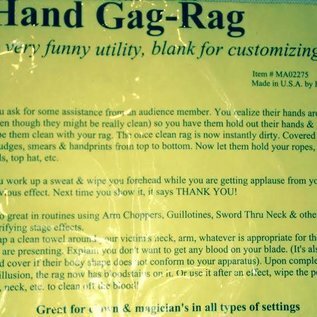 Trick rag may be used over and over again. Comes complete with gimmicked napkin and instruction sheet.